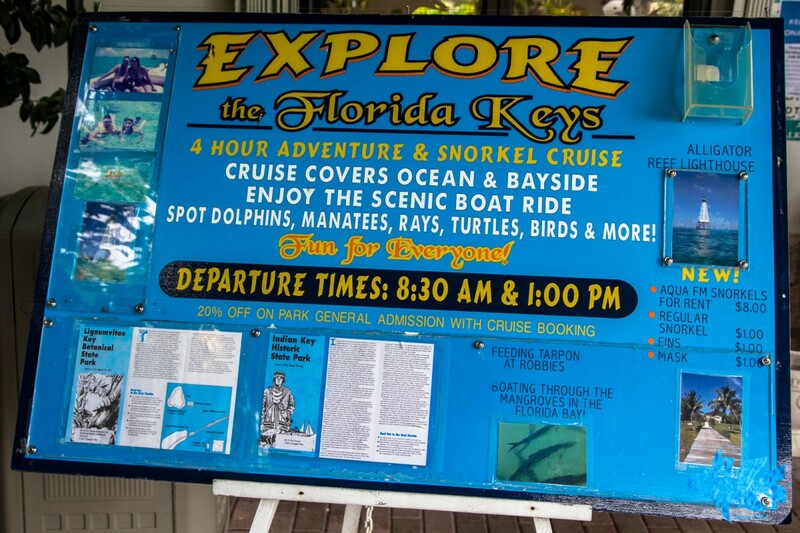 On April 14, 2014, our REEF Project team visited one of Florida's oldest marine mammal parks, Theater of the Sea. Upon our arrival, we took some time just to take it all in, enjoying the natural beauty of the landscape. We were greeted by an abundance of foliage and flowers. We learned that in 1905, Henry Flagler began construction of the Overseas Railroad, which was an extension of the Florida East Coast Railway, stretching 128 miles from Miami to Key West. 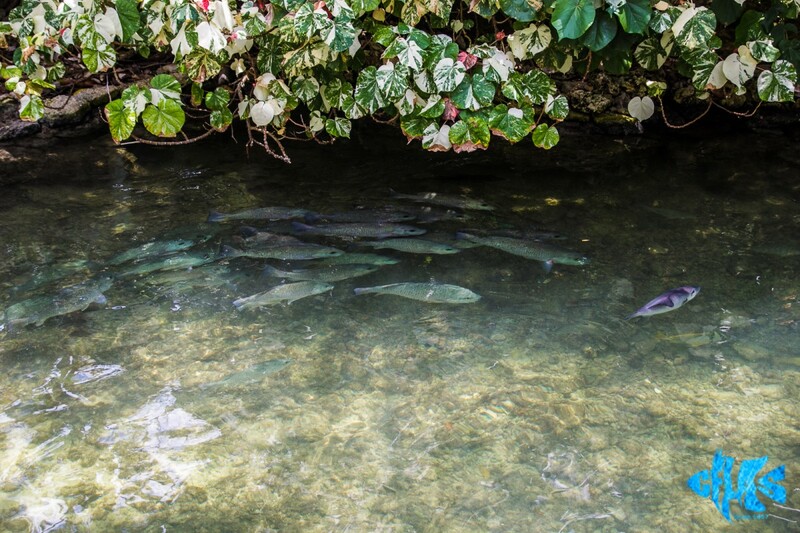 What is now known as Islamorada, was the first excavation site to furnish fill, predominantly coral bedrock, for the railway and bridge approaches. In 1912, the final link of the Florida East Coast Railway was completed, being widely known as the “Eighth Wonder of the World”. The railway would survive a couple decades until the 1935 Labor Day Hurricane. Making landfall in the Middle Keys causing heavy damage and destruction throughout the region, the Overseas Railroad was so badly damaged, that the already bankrupt Florida East Coast Railway was financially unable to rebuild the destroyed sections. Much of the flooded quarries in the area were purchased by Alonzo Cothron, a huge developer in the Upper Keys, second only to Henry Flagler. 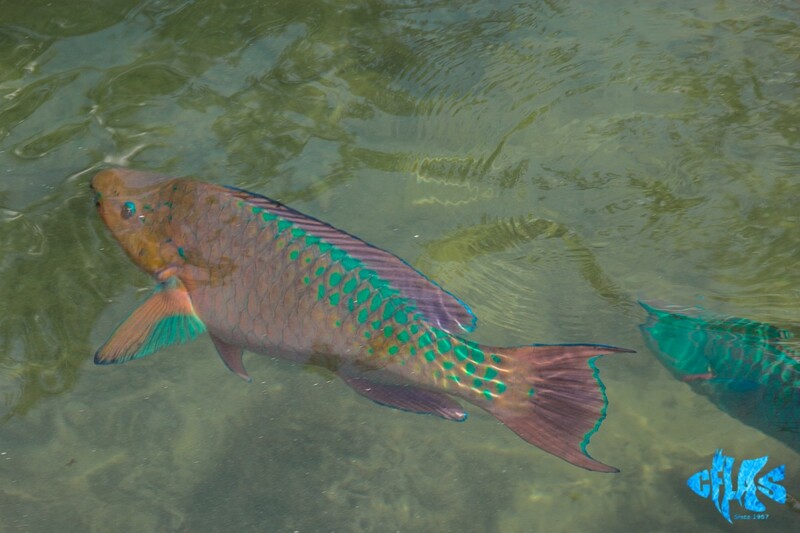 It was Cothron who utilized the flooded quarries to farm stone crabs for several years, but in 1940, a tourist from Atlanta, Georgia, happened to take notice of the colorful parrot fish that inhabited the landlocked areas. The tourist contacted his employer, a man by the name of P.F. 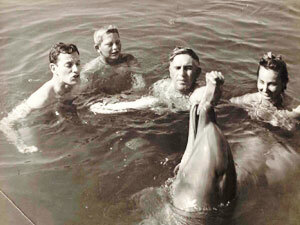 “Bud” McKenney, who was quite fond of fishing and the beauty of the sea, relaying to him his discovery in Islamorada. 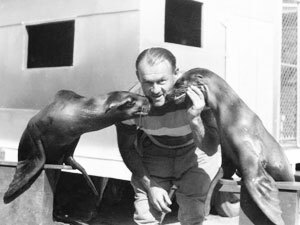 After visiting the area for himself, Bud and his wife Martha envisioned the land becoming a live menagerie of sea critters, a Theater of the Sea, and the second oldest sea attraction; the first being Marineland in St. Augustine which opened in 1938. Alonzo Cothron agreed to lease the land to the McKenney's, and in 1941, they moved to Tavernier to begin their new business venture. 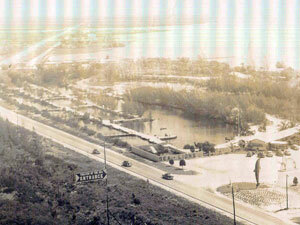 However, with the outbreak of World War II, they were forced to put their plans on hold and moved to Coral Gables. Following the end of World War II, the McKenney's returned to Tavernier in 1945 to continue construction of their Theater. Alonzo Cothron assisted in the removal of additional coral rock as McKenney himself developed the property. 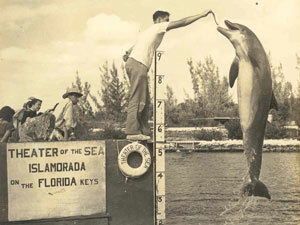 Milton Santini, a local fisherman, was hired to transport four dolphins to the park and allowed the facility to open its doors in 1946, offering daily porpoise shows and guided marine life tours in an intimate, up-close and personal setting. 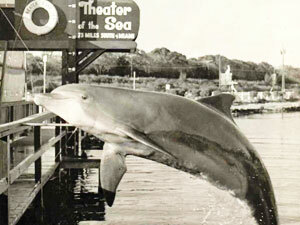 Santini would go on to open Santini's Porpoise School in 1956, and in 1963, a young dolphin named Mitzi starred in the original pilot movie “Flipper”. 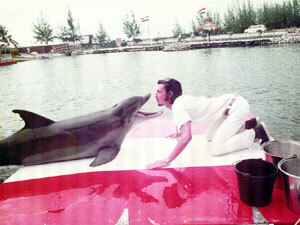 The location later became Flippers Sea School in 1972, and since 1984, it has been known as the Dolphin Research Center. 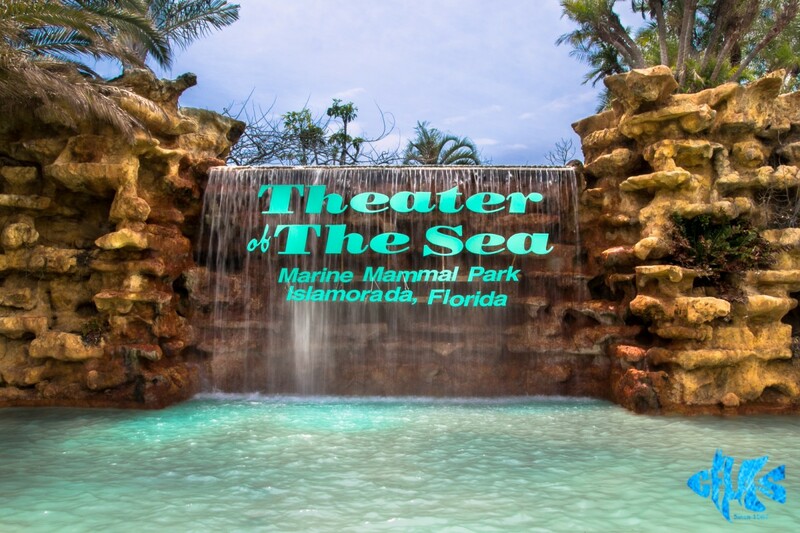 Over the years, additional areas at Theater of the Sea were excavated, expanding the animal habitat into seven different pools, holding 12 million gallons of water and encompassing approximately 3-acres of land. 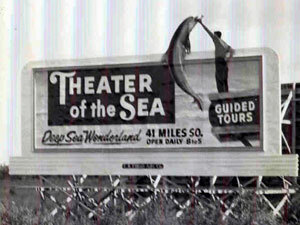 Theater of the Sea then began advertising itself as the “World's Largest Outdoor Aquarium”, and became one of, if not the largest natural dolphin habitats in the world at the time. 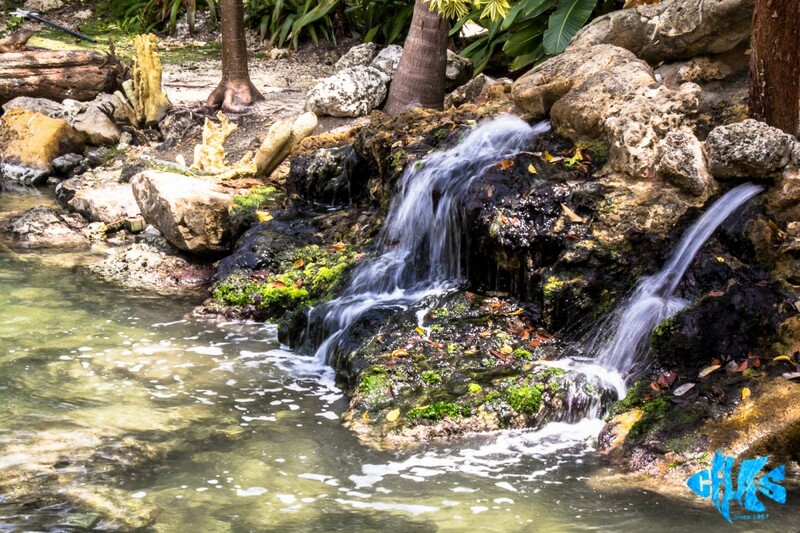 The very naturalness of the pools remains one of the most outstanding features of the park to this day. Overcoming adversity nearly every decade for over forty years, Bud McKenney devoted nearly every day to operating and overseeing his beloved park. 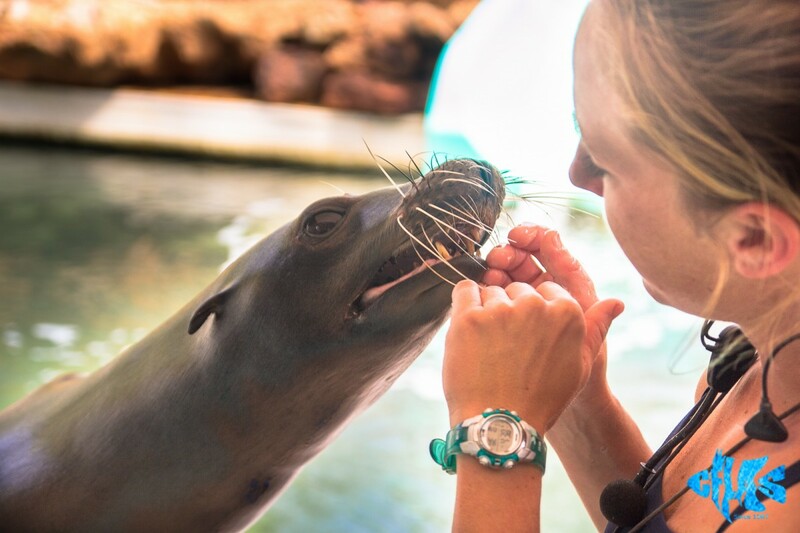 Theater of the Sea has secured itself in Florida's rich history as the place where visitors got involved, up-close and personal with the animals in a natural setting. After passing away in the late 1980's, Bud McKenney's widow, Martha, remained involved in their lifelong endeavor but relinquished management of the park to their son P.F. “Kenny” McKenney, Jr. and daughter Martha Arender. Kenny has successfully followed in his father's footsteps by maintaining and enhancing the park in a manner that has paralleled and often exceeded his father. 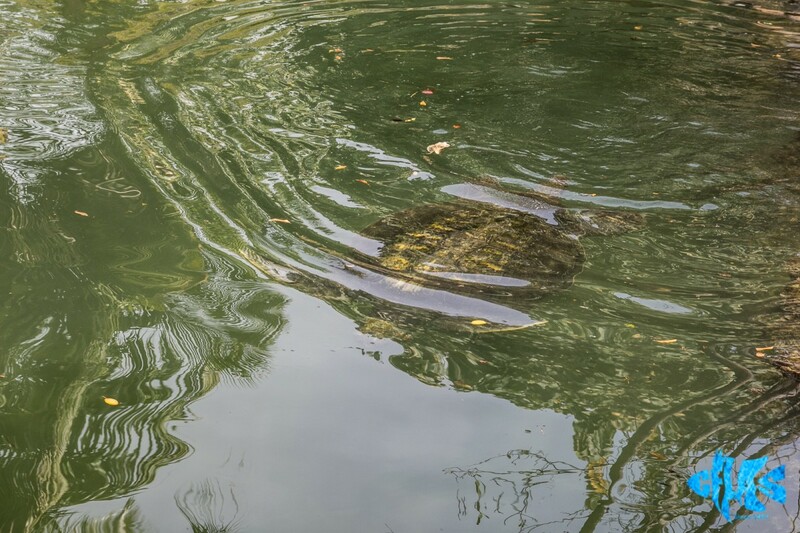 Nowadays, the 17-acre property of lagoons, waterfalls, and lush tropical gardens is home to a variety of animals that have been rescued, rehabilitated, and deemed non-releasable for a variety of reasons, including dolphins, sea lions, sea turtles, sharks, rays, tropical and sport/game fish, invertebrates, crocodilians, raptors and parrots. These animals often require specialized long-term care and treatment that is funded through patronage alone. 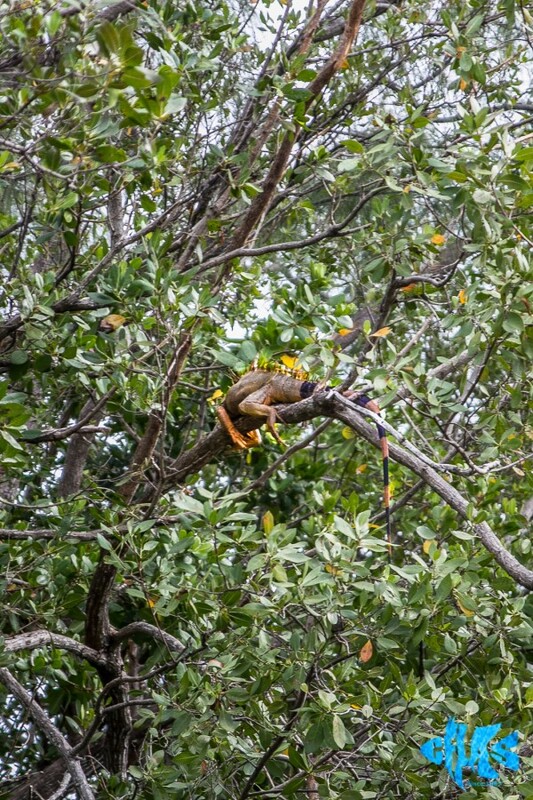 Each rescued animal has a special story and serves and important role in educating the public about the many natural and human-imposed threats to their wild counterparts. Theater of the Sea not only continues to grow and become more beautiful each year, but takes great pride in consistently providing a wonderful home for the animals while sharing them with visitors in ways that inspire awareness and sensitivity towards animals, the environment and conservation issues. 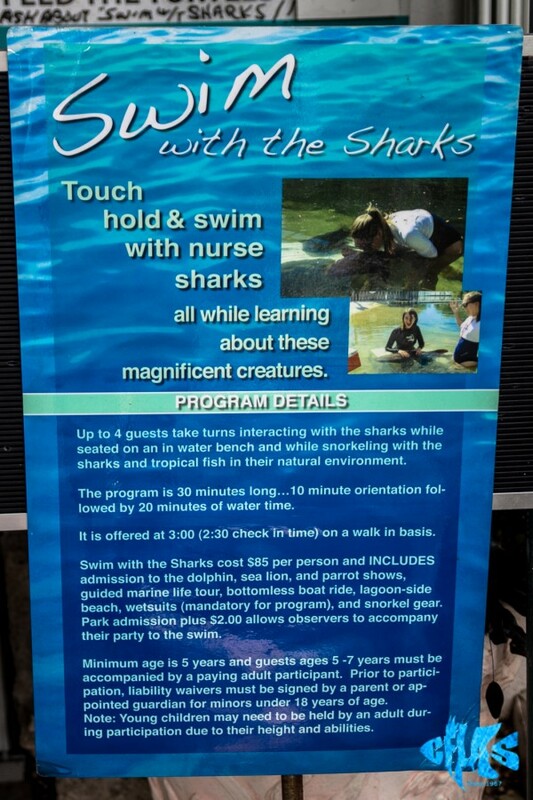 Theater of the Sea recently opened its latest attraction, a nurse shark interaction program, that runs along side their dolphin and sea lion shows. 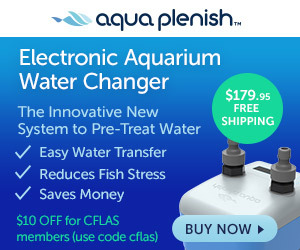 They also added a multi-chambered touch-tank, stocked with stingrays and an assortment of fish and invertebrates. When visiting the park, we recommend allocating at least 3-4 hours. 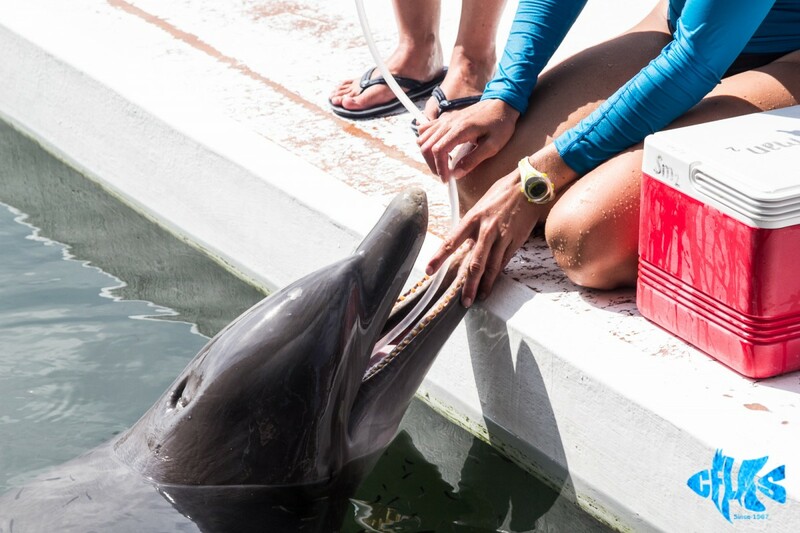 They offer 3 show schedules throughout the day, each of which is about 2 hours, that allows guests to participate in several shows, including the guided marine life tour, parrot show, dolphin show, sea lion show, and bottomless boat ride and nature tour. Each show is roughly 15-20 minutes in length, with a 10-15 minute gap before the next one. 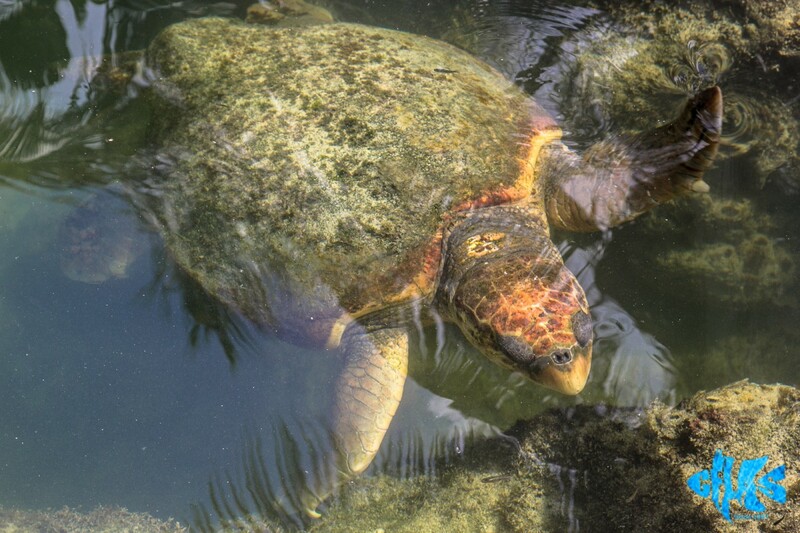 The guided marine life tour is a walking tour around the main property in which guests are educated about the myriad of marine life that inhabits the 6 interior pools around the park, including sea lions, sea turtles, tropical fish, sport/game fish, sharks, and rays. 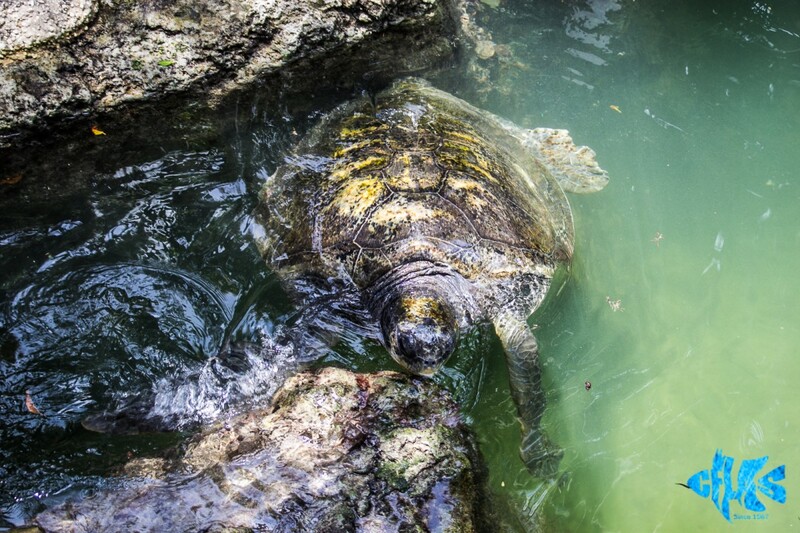 On this tour, you will learn about how these animals came to find homes at Theater of the Sea. 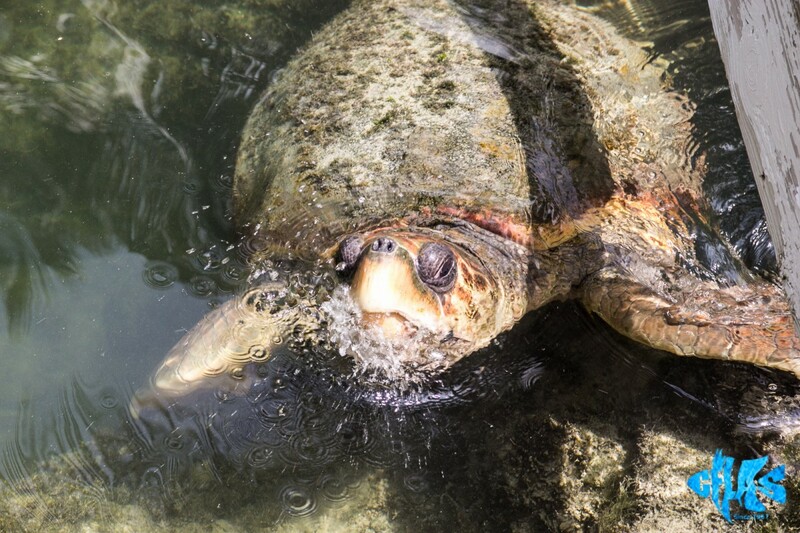 We learned about the impact humans have on marine life, specifically sea turtles and sharks. 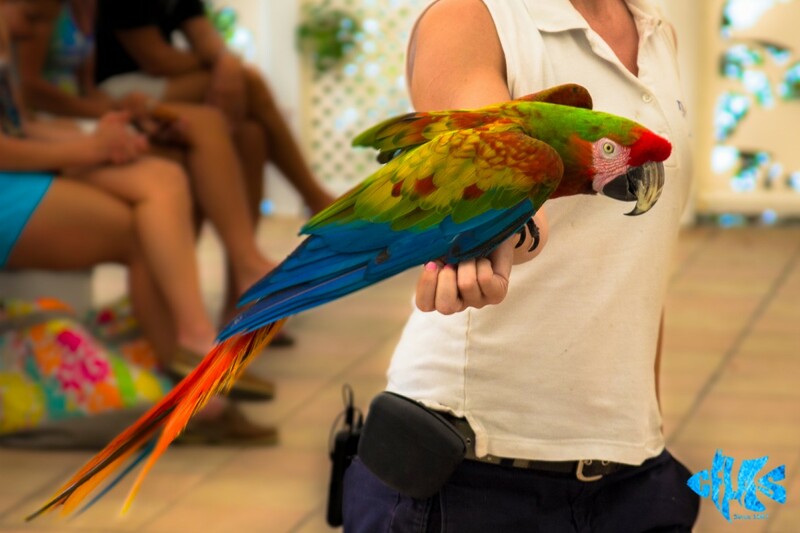 A fun and interactive show that demonstrates how incredibly intelligent parrots are, is the parrot show. 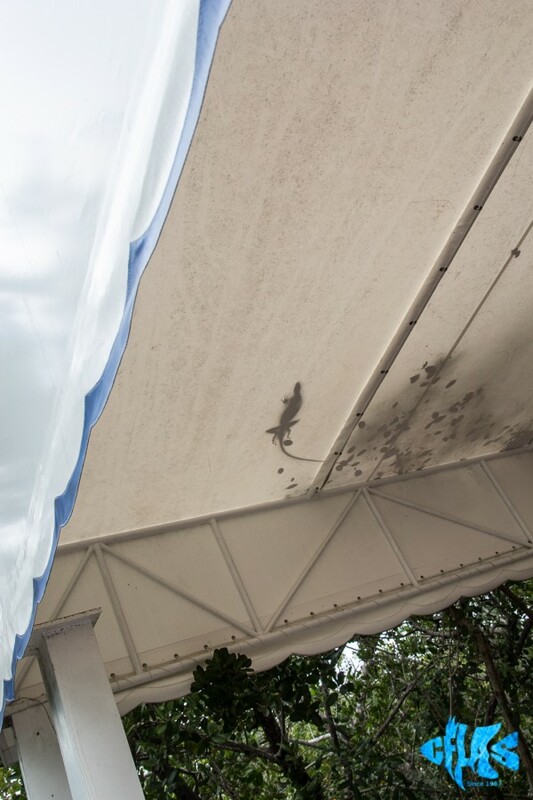 We watched as several species, including cockatoos, macaws, and African grey parrots, were ran through a series of cognitive skill tests. 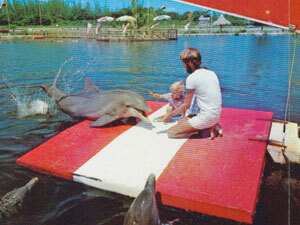 The dolphin show was perhaps the most intriguing of the lot, as we quickly discovered they were not confined to a small pool, but rather, had an entire lagoon area, nearly the size of the land-portion of the park. 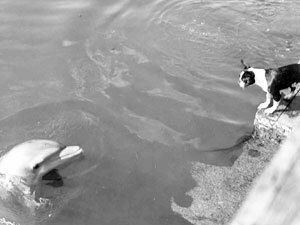 The interaction between the dolphins and trainers seemed very serene and natural. Between sessions, one of the trainers addressed the guests about eating seafood, referencing Seafood Watch, citing several types of fish people should refrain from harvesting and consuming, in the name of sustainability. Towards the end of our tour was the sea lion show, where we met Wilbur and Jet, a pair of California sea lions who seemed very eager to meet us. 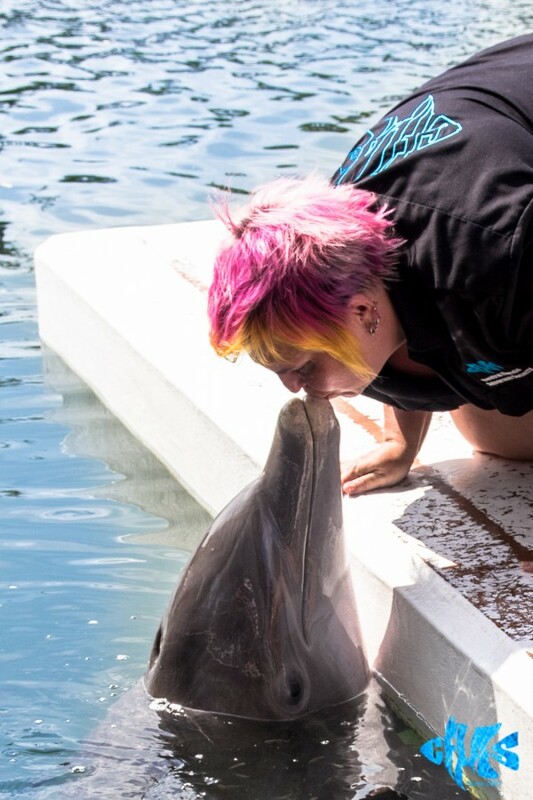 Jet's trainer explained to us how incredibly intelligent Jet was, more than any dolphin she had ever worked with. 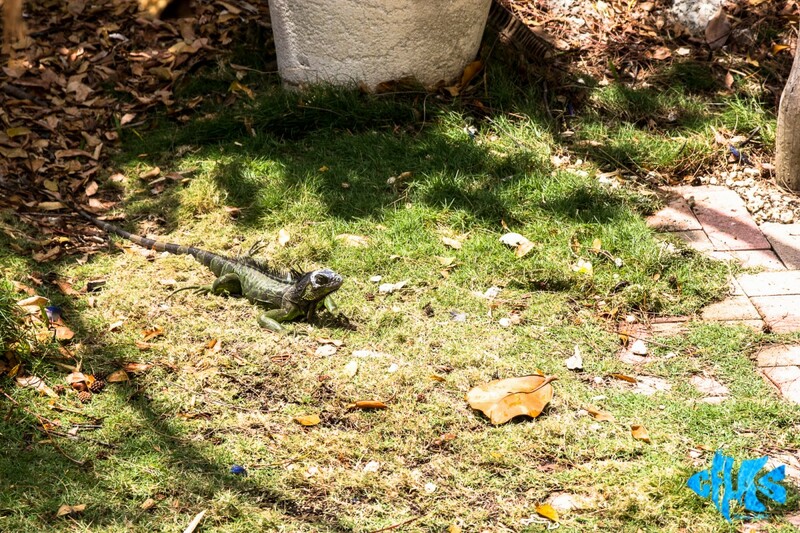 We concluded our tour with a bottomless boat ride and nature tour where we saw an abundance of iguanas, birds, and fish. 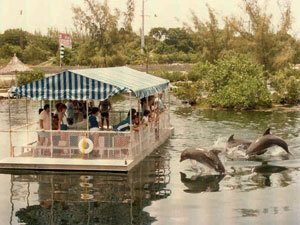 The dolphins swam along side the boat as we idled downstream, often swimming up inside the opening in the center of the boat. There was no sign of gates or nets that would restrict animals, leaving us with a very pleasant feeling. 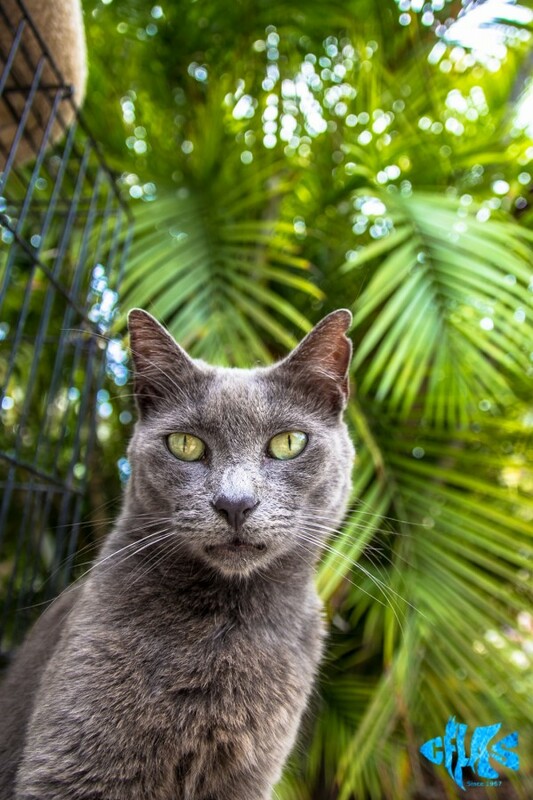 You may be curious as to why there are photos of cats in this article. 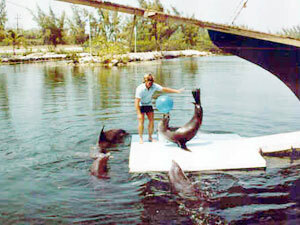 Theater of the Sea is also Islamorada's cat rescue and rehabilitation center. 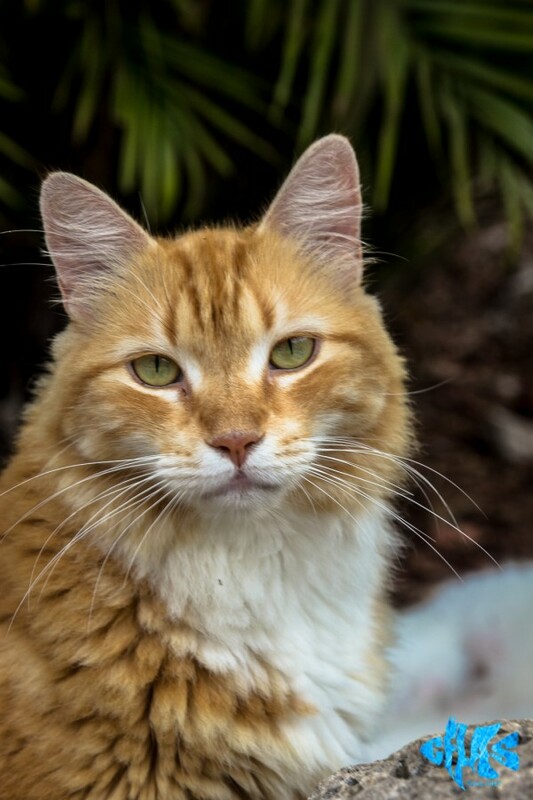 Several dozen felines have found a home here, and are taken care of until they are rehomed. Many were displaced by storms, others stray, but all loved and looked after. 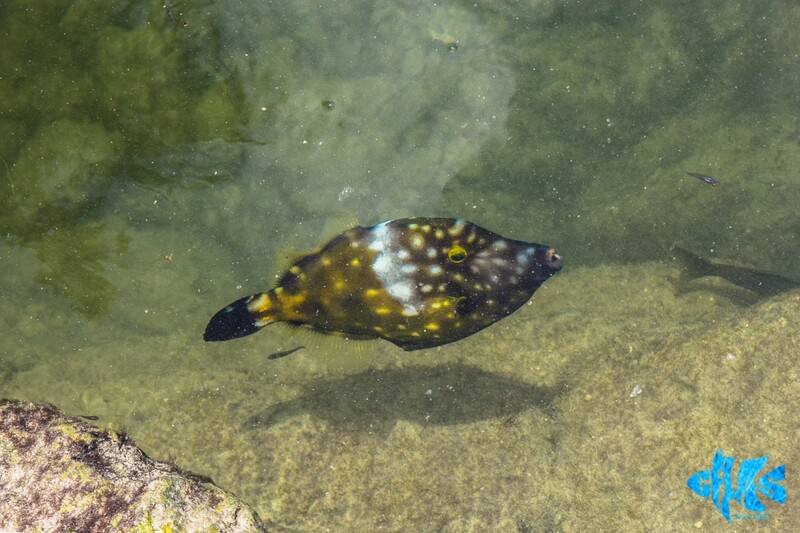 On behalf of the REEF Project team and staff of the Central Florida Aquarium Society, we would like to thank Pamela Ollen Hughes, Assistant Curator, and the staff of Theater of the Sea, for providing us with the wonderful opportunity to tour the park and interact with the marine animals. 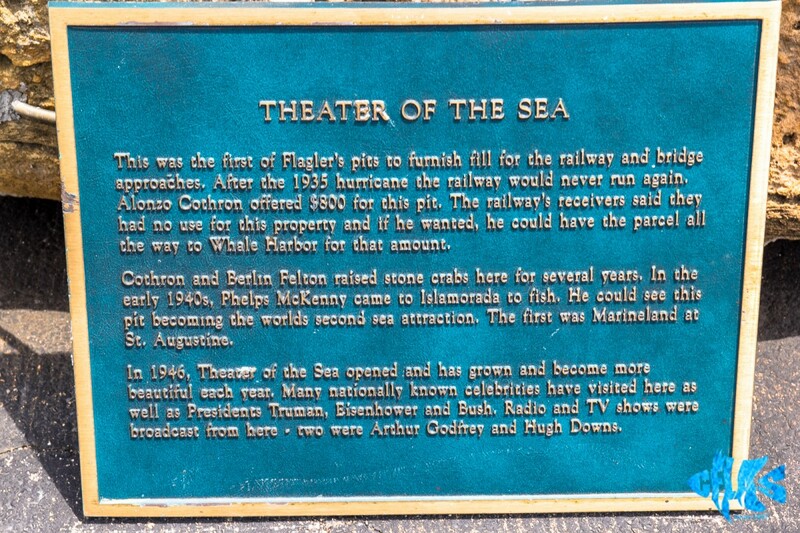 Theater of the Sea is truly a Florida “original” that should not be overlooked. 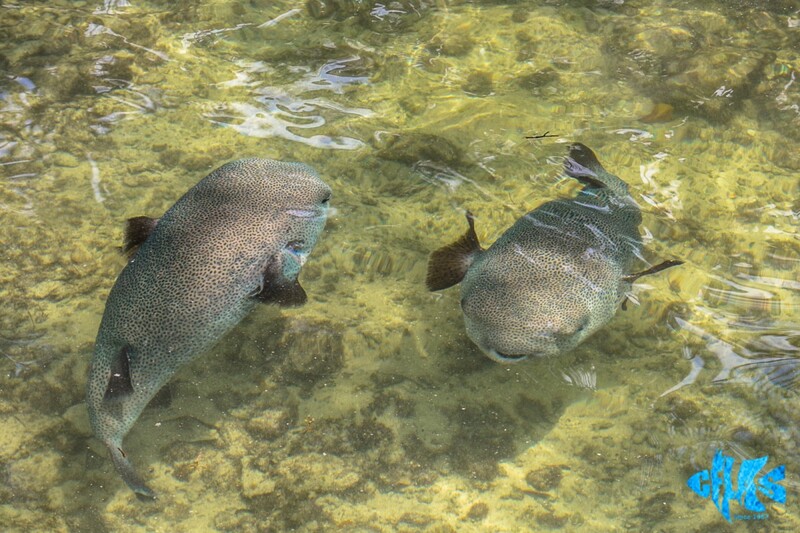 If you live in Florida and have not yet visited the Florida Keys, much less Theater of the Sea, make plans to do so. 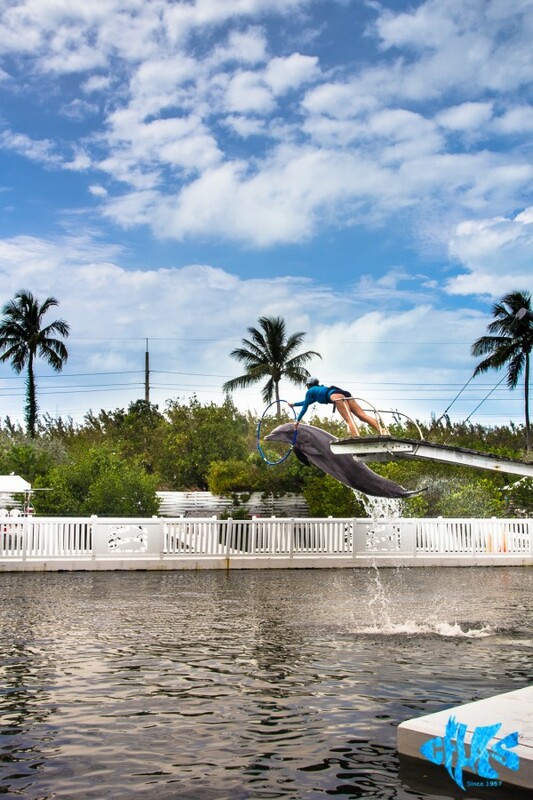 We recommend allocating at least one full day just to enjoy Islamorada. 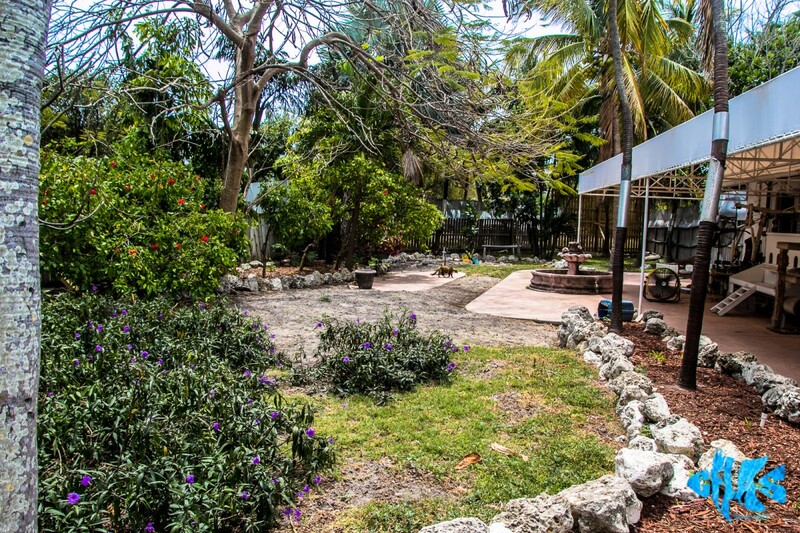 Local lodging is available at the Historic Tavernier Inn and Key Lantern Inn. During your visit, we also recommend visiting the History of Diving Museum.